We are certain that you will discover the diversity of our business and note how passionate we are about animals. We are committed to excellence, ensuring your complete satisfaction while providing the highest quality of care for our clients’ animal companions. We are also very involved in support of animal shelters. Creature Comforts-Happy Holidays from Regina Drury on Vimeo. 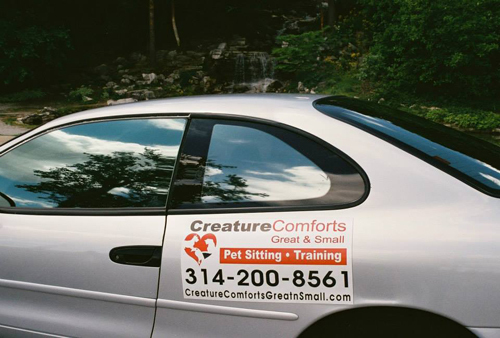 Read Paul's New York Times Interview For "Churches Show Their Love For Animals" and Paul's Article "Wonder of a Wolf-Dog"
We encourage you to learn more about Creature Comforts Great & Small and invite you to explore our website fully to see the many interesting facets of our professional pet care business. *Ensuring you are fully protected and you have peace of mind, we are fully insured and bonded.